Preheat the oven to 120C fan forced (140C). Spray the tart tins, with removal bases, well with baking spray. To make the base, combine the egg whites, sugar and coconut. Divide between the tart tins and press firmly over the base and sides. Bake in the oven for 25-30 minutes until the macaroon base is firm and lightly golden. Allow to cool slightly before filling. To make the filling, combine the cream and chocolate in a small saucepan and place over a low heat. Stir until the chocolate is melted and the mixture is smooth. Remove from the heat and set aside to cool slightly. Meanwhile, whisk together the eggs and 2 tablespoons of caster sugar with an electric hand mixer or stand mixer, until pale and creamy. Add the flour and chocolate mix and fold gently until combined. 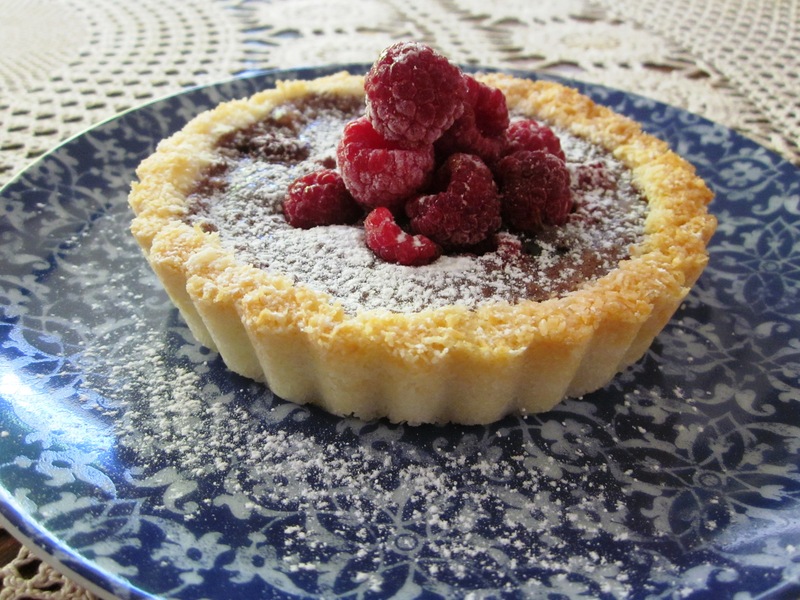 Place a few raspberries in the base of each macaroon tart base then top with the chocolate mix. Add more raspberries on top then bake in the oven at 140C fan forced (160C) for 25 minutes or until filling has just set. Cool in tins before removing gently to serve. Serve as is, or top with more raspberries and icing sugar.